There’s an image that is often brought to mind when it comes to people who are addicted to drugs or alcohol. In popular culture, this image has become the subconscious image of the “addictive personality” – that is, the individual who is considered all but destined to develop a substance addiction. 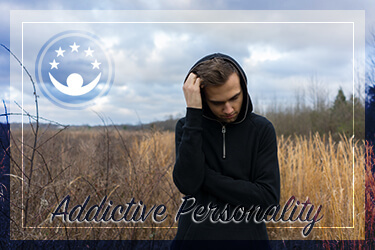 It’s not a surprise then that people who are worried about developing an addiction to drugs or alcohol often try to find out what the traits of an addictive personality might be. They want to know what to watch for, either to absolve themselves of the “addict” label or to give themselves a reason never to start using drugs or alcohol to begin with. However, the simple fact is that this whole idea is based on a mix of truth and fiction. The fiction is the concept of a specific addictive personality. In fact, most researchers in addiction today would caution against the idea of a single, generic personality that is prone to addiction. An article in Scientific American verifies and offers evidence for the fact that there is no one personality type that leads to addiction. In fact, some seemingly disparate traits can lead different people to become addicted to drugs or alcohol, depending on other factors. While there are several different types of traits that can be recognized in individuals who develop substance use disorders, they are not all present in every person who becomes addicted. Therefore, the image that some people see of the socially outcast criminal is an inaccurate vision of the individual who becomes addicted to drugs or alcohol. A more thorough discussion of each of these traits is explored below. There is no question that genetic makeup has at least some effect on a person’s risk of developing addiction. As described by many studies, including one from the journal Psychiatry, having a close family member who is struggling with an addiction can make it more likely that an individual will develop an addiction as well. In fact, certain portions of the human genome have even been identified as having a direct connection to specific addictions, according to a study in Nature. With this knowledge, it may be possible in the future to more accurately identify just how likely a person is to develop addiction. Still, genetic potential is no guarantee that an individual will develop addiction. Other complex, environmental factors also contribute to the potential that a genetic predisposition will become a true substance use disorder. For example, as explained by Brain Facts, multiple studies over the last decades have demonstrated a strong link between schizophrenia and addiction to nicotine. In fact, it has been shown that nicotine can even temporarily lessen some of the symptoms of schizophrenia. The use of cigarettes to manage these symptoms is a phenomenon known as self-medication, which is a common source of substance abuse that later becomes addiction. Some personality traits have higher risk of addiction than others. Individuals who like to take risks and who have little impulse control around experimenting and playing with new experiences and dangerous activities are more likely to try drugs. A study reported by Reuters indicates that this may have to do with the individual’s levels of dopamine and the brain’s sensitivity to it. People with high levels of dopamine in the brain may have a lower sensitivity to its effects, meaning that they need to have more intense experiences in order to feel the pleasure that this brain chemical causes. This, in turn, can be bound into the person’s experience using drugs and alcohol, which directly affect the dopamine system. 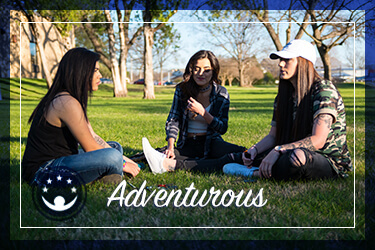 In this way, the adventure-seeking, risk-taking personality can have a higher likelihood of experimenting with and, later, becoming addicted to these substances. According to the Scientific American article, the bold, risk-taker type who develops addiction is more likely to be male. On the other hand, cautious people who have difficulty with social relationships – and who at the same time may suffer from depression, anxiety, or both – can also develop addiction; these personality types are more often women. Considering the self-medication idea mentioned above, people with these personality traits may be more likely to try to manage symptoms of anxiety or painful feelings of loneliness, disconnection, and depression by using alcohol or drugs that dull those feelings. This may then lead to the person becoming dependent on the substance to feel good in general, which in turn can lead to tolerance and addiction. Addiction sometimes has to do with a lack of impulse control, but this is not exclusively the inability to resist impulses. In fact, people who are too rigid with managing their impulses may also end up using substances as a manifestation of an obsessive-compulsive behavior pattern. In fact, addiction often becomes a compulsion to use the substance based on a habit that has formed over time rather than a single impulse to try something new. In this way, people with intense focus and habitual behaviors may be as likely to develop addiction as those who are unable to control impulses. The obsession with using psychoactive drugs is a main symptom of the disorder, and it can exist both separate from and in concert with a lack of impulse control that can also be a hallmark of addiction. What all of these traits have in common is an inability for the individual to regulate behaviors, thoughts, and feelings that might otherwise enable an ability to moderate use of alcohol or other substances. As explained in an article from the University of Rochester Medical Center, studies are beginning to show that an inability to regulate behavior around the anticipation of receiving a reward is strongly linked to the development of addiction. However, this is not the end of the issue. Individuals who pursue the idea of reward so strongly often do not experience as much pleasure from having gotten the reward as those who do not have this issue. This diminished sense of pleasure leads the person to push harder to win more in the hope that the reward response might be stronger. This, again, is linked with the person’s levels of, and sensitivity to, dopamine and potentially to other neurochemicals as well. Various forms of behavioral therapies can help individuals struggling with these issues to learn to manage their behaviors and acquire self-regulation skills that can moderate the addictive response. In addition, for those who have already developed substance use problems, treatment programs can incorporate these therapies with other demonstrated treatments. This approach may help the person safely stop using drugs or alcohol and live a sober life as well as gain control over the various traits above. Seeking out research-based, professional care can provide the individual with tools to understand and manage these various traits, making recovery possible.